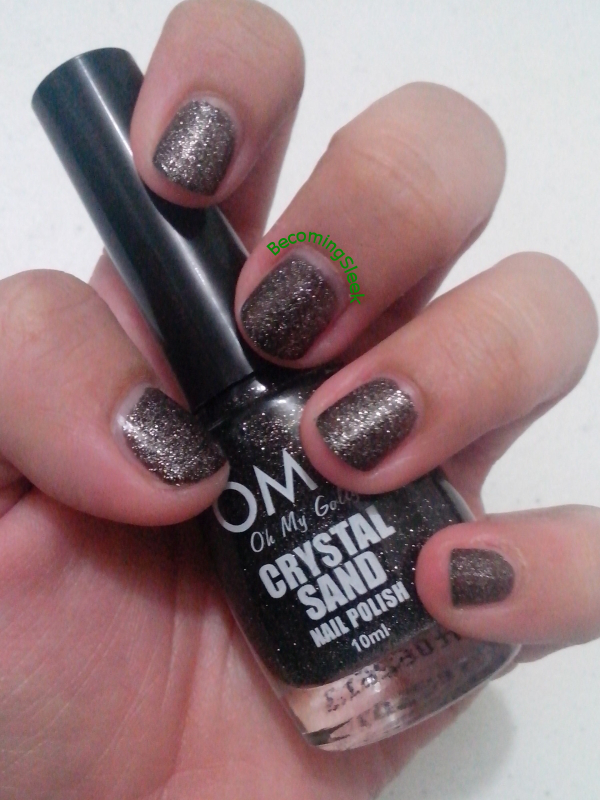 I’ve finally completed the swatches for the OMG Crystal Sand set, which is the very first complete polish set I own. 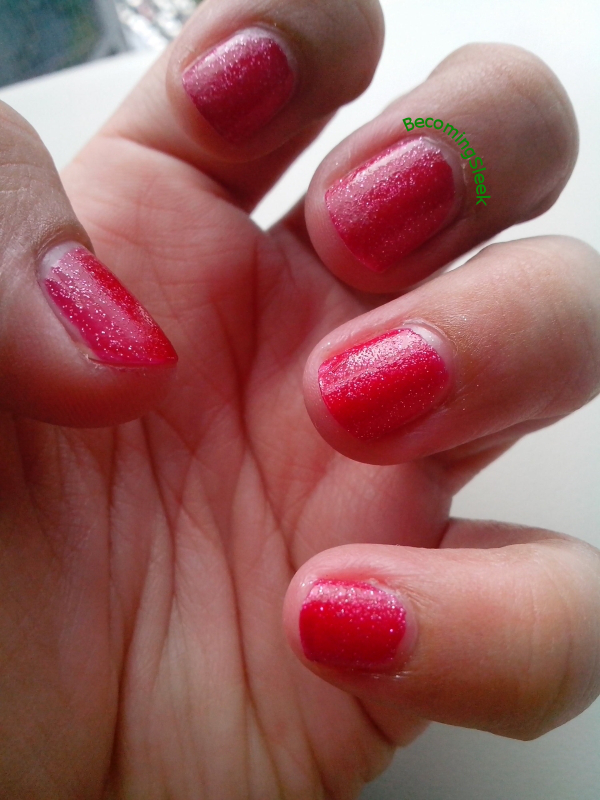 Click here to view Part 1 of the swatches. Here is part two, featuring the shades Hematite, Indian Red, Citrine, and Emerald. Let’s start with the reds. Citrine is the lighter of the two, leaning towards orange. 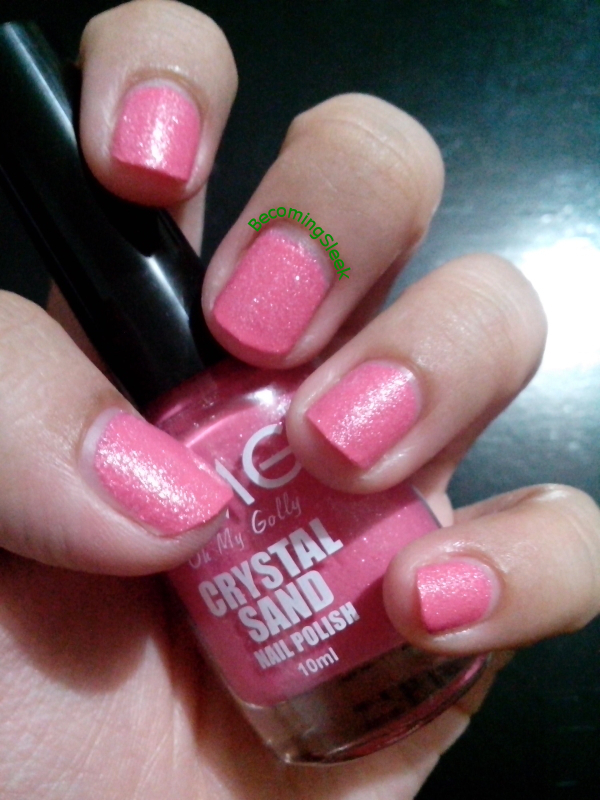 Like all of the polishes in this range, this only takes two coats to achieve opacity, and dries quick enough. 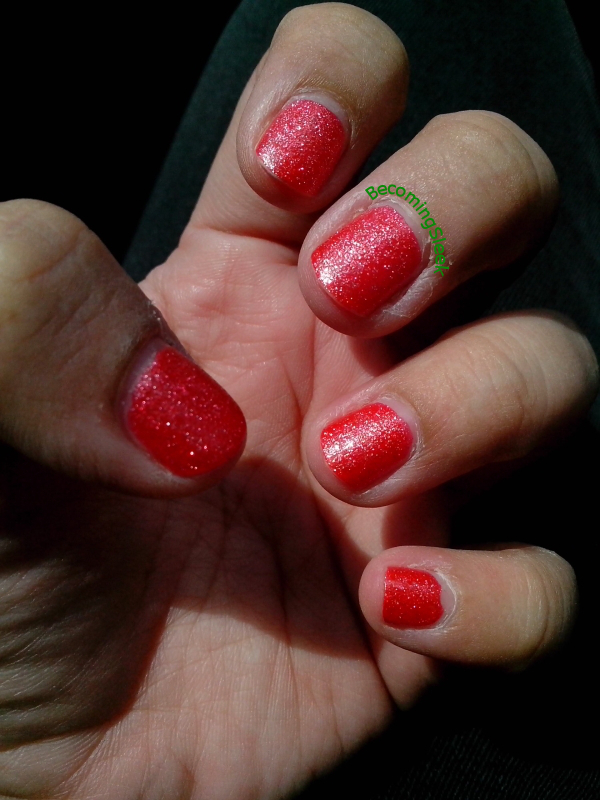 I didn’t use any top coats for this to feature the graininess of the polish. Next is Indian Red. This is darker and leans more towards blue than Citrine, but the application is quite similar. The finish is the least grainy of among the seven in the set. Again we have two coats and no top coat. Here is a side-by-side comparison of Citrine and Indian Red. Next we have Emerald. 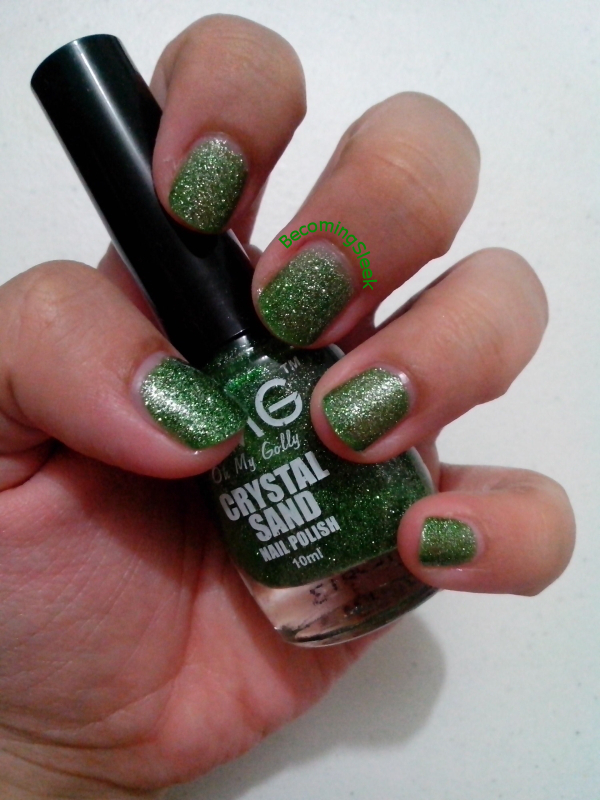 This is darker than Peridot but it has the same silver glitter. It is quite elegant looking. 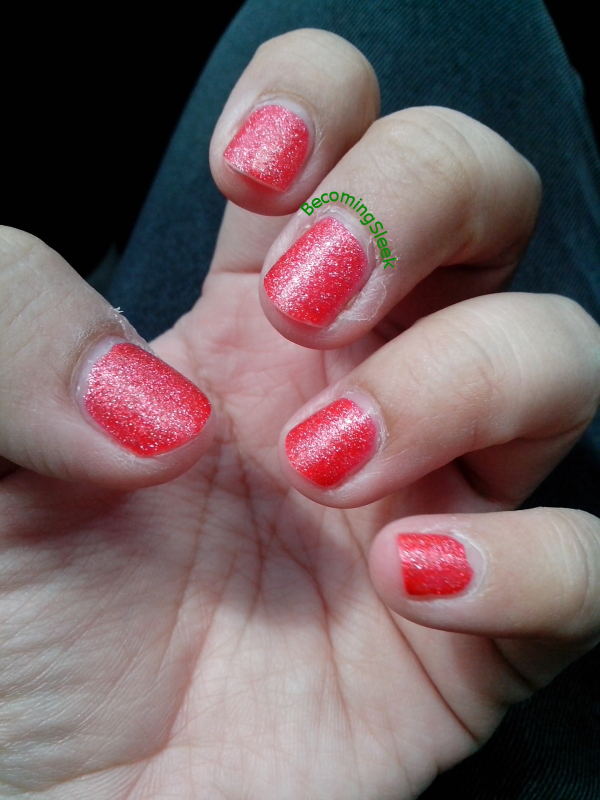 I used two coats here, and no top coat. Here is a side-by-side comparison of Emerald and Peridot. Finally we have Hematite, a black base with silver glitter. 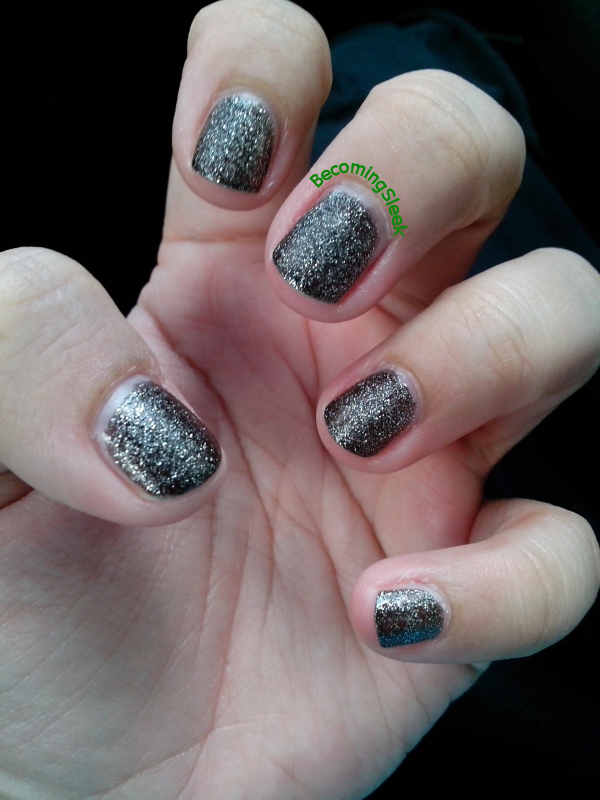 Here you can see that it’s actually not the deepest black, and there is a lot of the glitter that makes the polish look like a sort of stone. At first I didn’t like it much (since I don’t really like dark polish), but it grew on me. 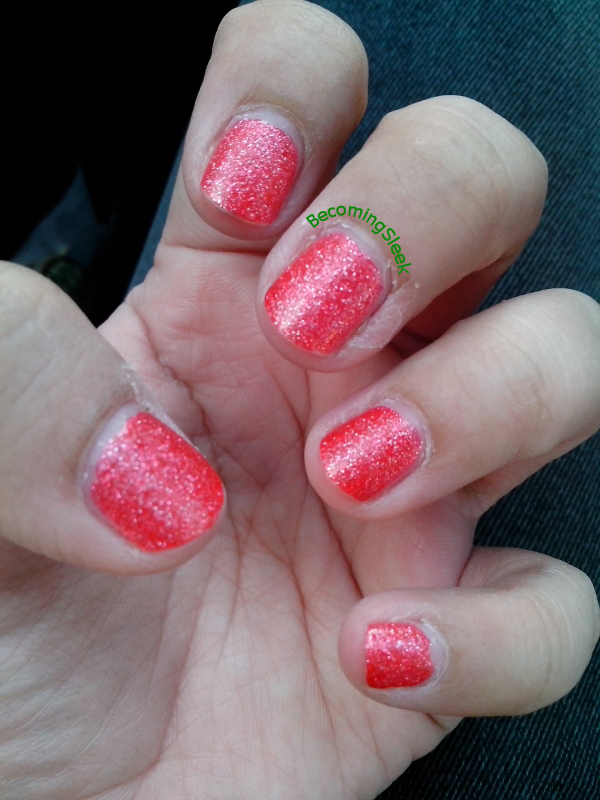 I used two coats and no top coat. 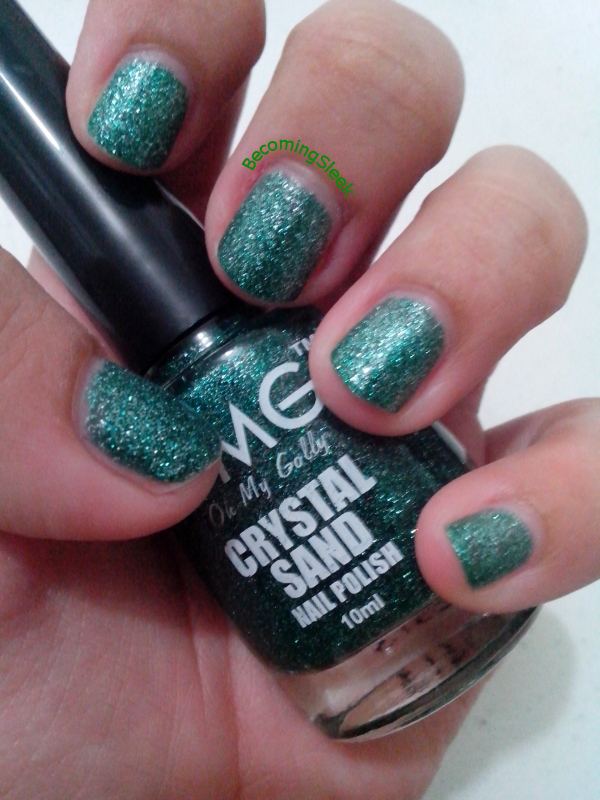 Here are all the shades in the OMG Crystal Sand line. I really quite like this set and I’m glad to be able to collect it. I would highly recommend this to any nail polish fan, as the formula is great and longwearing and dries fast too. It’s hard to name favorites to be honest, but if I were to pick only one it would be Citrine. I’m starting to love these textured finishes. 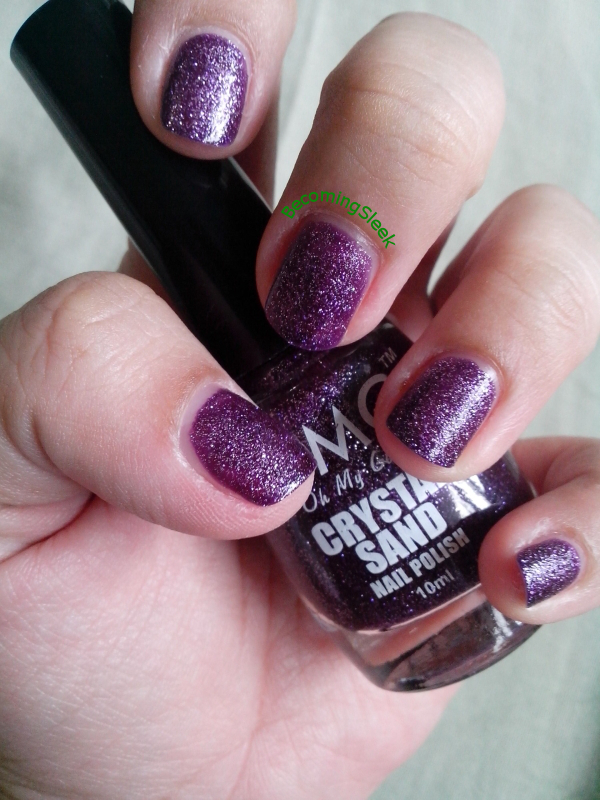 Like OPI’s liquid sand, and Zoya’s pixiedust. Citrine and Hematite are particularly eye-catching. How do you find these brands? Never even heard of OMG before you. I just love browsing the beauty section of department stores, and I stumbled on this brand in Landmark. I’ve seen this nowhere else, which is sad because it’s actually a quality brand considering its price.